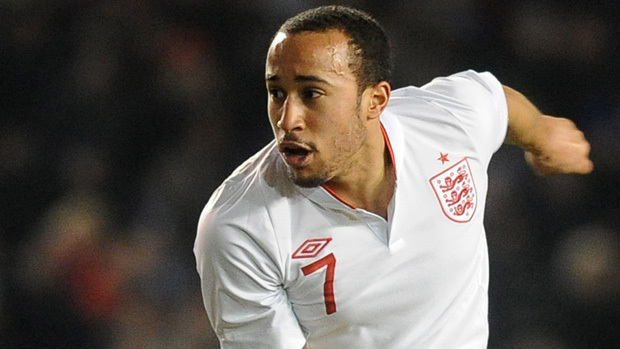 Andros Townsend was one of Spurs legal overage players in the fixture. Andros Townsend neared a return to first-team action for Tottenham Hotspur as he scored in their under 21 win against Newcastle United yesterday. The England winger netted and grabbed an assist during the first-half before he was substituted in Spurs’ 4-1 win. With just 3 points separating 9th and 18th place in the division, the three points were even more important for Spurs and Townsend stepped in as an overage player to help them to victory. Souleymane Coulibaly opened the scoring after just 19 seconds as Townsend found space to cross wide on the wing and Coulibaly slotted home past Jak Alnwick. After cutting in from the left hand side, 22-year-old Townsend unleashed a dipping shot into the far corner and made it two for the London club. On 24 minutes it was Townsend’s cross that caused havoc again as Kenny McEvoy got the last touch and put them 3-0 ahead. Harry Kane made it four just three minutes later and it looked like it would be a long afternoon for the Magpies. Newcastle did score a consolation before half-time through Michael Richardson. He netted from distance on his return from Accrington Stanley, where he had been on loan. Surprisingly, there were no goals in the second-half as Newcastle’s four-match unbeaten run was ended. With just 3 points separating 9th and 18th place in the division, it meant this tie was even more important as both clubs fought for three vital points to move them up the table. This weekend’s results: West Ham United 0-3 West Bromwich Albion, Manchester City 3-1 Wolverhampton Wanderers, Leicester City 0-4 Bolton Wanderers, Sunderland 1-1 Stoke City, Southampton 1-2 Manchester United.